Apple today updated Final Cut Pro X, Compressor, and Motion, its software designed for professional video editors. Today's updates, the first since October, add new features and multiple bug fixes. Compressor version 4.3.1 also focuses on bug fixes and performance improvements, fixing problems with the Touch Bar, burning projects to DVD, and more. My film teacher said he switched to Adobe because Apple abandoned Final Cut. Is it still a useable product but just isn't moving forward? Why is it still for sale? I would find a new film teacher. That is ludicrous. Just because your teacher doesn't like the new platform doesn't mean Apple abandoned it. Well I graduated film school, became a professional videographer and editor working full time with fcpx and I absolutely couldn't be happier. Hmm, first logic pro, now fcp and compressor. Whats next? Mac Pro? Let's not get carried away lol !! I don't think Apple abandoned FCP X. It's a good product that as you can see is still being updated and improved. But what his issue may be is that FCP X was a complete rewrite, and there was no upgrade path from FCP 7 to FCP X. What's worse is they stopped selling FCP 7 as soon as FCP X was released. So companies depending on FCP 7 were stranded if they needed to be able to buy additional licenses. It was a very bad move by Apple, and people rightfully lost confidence in them catering to pros, and many people switched to something else, such as Adobe Premiere. This is probably what he was talking about. I'm not a pro, and just do hobby / home video stuff these days, but I was a FCP 7 user and switched to FCP X and I've been very happy with it. I spent $240 on it (20% off iTunes gift cards to get to that price), and so far all updates have been free -- I think that's quite a steal. If you're committed to macOS for the foreseeable future, I don't think this is bad way to go. The above is exactly correct. Pros these days aren't so thrilled w/ Media Composer, and many went from FCP7 to Premiere Pro (although some are on FCP7!) But pros these days also aren't super-thrilled with Apple's hardware choices, which absolutely do not cater to them. And the fact that they actually did "abandon" the Mac Pro platform, but actually have the gall to still sell it. I see more video teams going PPro on Win10 over the next few years. Fcpx as of a year or two ago makes avid and premier look very second rate. It is so sophisticated and slick. I've completed network broadcast TV shows on it and some don't believe me when I say it was done in fcpx on a MacBook Pro till I bring in my laptop. Everything is so much quicker. Yet more powerful than any other editing software I've used. Multicam is superb. People were put off as there was a massive learning curve from fcp7. I was one of them but I persevered over four days to come up to speed and relearn the new way. So glad I did. I love that people still think it's sub par because it means that other editors won't use it meaning that my work ends up shining more ;). The first version of Final Cut X was not met with good reviews, but Apple has been putting out updates it's in a decent place. But having worked with Editors and film teachers I know they are stubborn so I doubt he has touched it since the first update and considers it abandoned. He's correct. Apple did abandon Final Cut Pro. 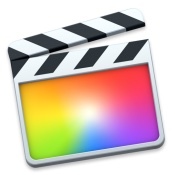 Final Cut Pro X was based on a clip logging program that Randy Ubellos was working on. Final Cut Pro was completely scrapped and replaced with X. I personally can't stand it and have slowly transitioned into Premiere. All three of the major editing platforms are really good, and all three can be used for professional work, all the way up to feature films, prime time TV and live sports. Use whichever one you are comfortable with and focus on the film you are making as opposed to the editing software. the beginning of your career), you should keep in mind that you may well have to learn all of them over the first few years of your career in order to get hired for different jobs. If your boss uses Avid, you have to learn Avid whether or not you agree with the company's software update schedule. Same with FCP and Premiere.